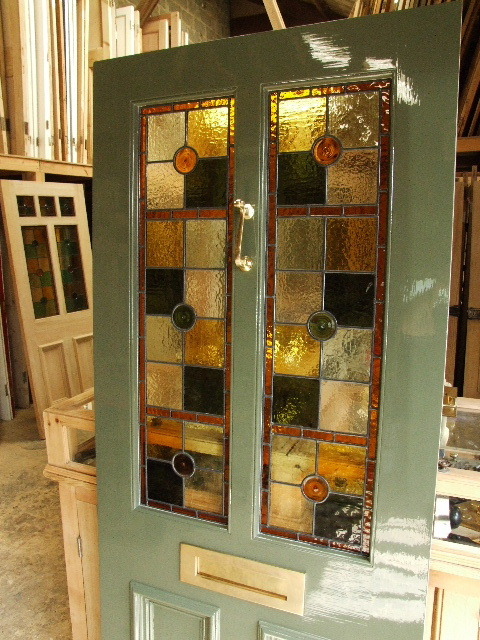 A truly georgous door complete with stained glass panels incorporating handspun amber and olive rondels. Using pastel shades of greens and ambers and an amber border. This door has been painted using Farrow & Ball Calke green and has been adorned with a plain brass letterplate and a brass scroll knocker .